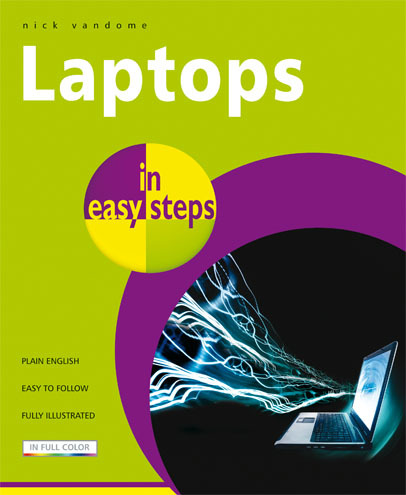 Laptops in Easy Steps starts by covering the important factors to consider when buying a laptop. Includes the ergonomic issues surrounding laptops and shows how to be as comfortable as possible when using them and transporting them. 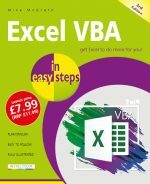 It then gives an overview of the workings of laptops, including the software (such as Windows Vista, Excel and Word) that is provided with them. Issues such as using your laptop on the move and sharing it with colleagues or other family members, to show how laptops are versatile. The author even addresses laptop-battery issues. Extensive coverage is also devoted to networking and using a laptop wirelessly, with particular attention given to accessing the Internet from wireless locations (Hot Spots) such as airports, coffee shops and libraries. An indispensible guide for all newbies to the world of mobile computing; and a useful tool for those already initiated but want to get more out of their laptop.